Why do some people want to sit and listen to one note for 20 minutes? Or one chord for an hour? Successful drone music is actually not about stasis itself. When it works it’s because it allows a shift to occur in the listener, wherein the subject of the music becomes your own phenomenological experience. Good drone work is about the way you perceive it: how your focus shifts when a layer you didn’t even notice before suddenly leaps to the forefront in a way that makes you question whether it happened in the mix or in your own mind, the way a mass of static sine waves will cancel each other out depending on how your ears are aligned to the speakers, how what would be an insignificant change in traditional music becomes completely seismic in a context of limited means. It’s about duration being one of the primary structuring mechanisms of human experience, so that the same sound therefore has a completely different meaning depending on whether it lasts for a tenth of a second, one second, 10 seconds, one minute, 10 minutes, one hour, etc. 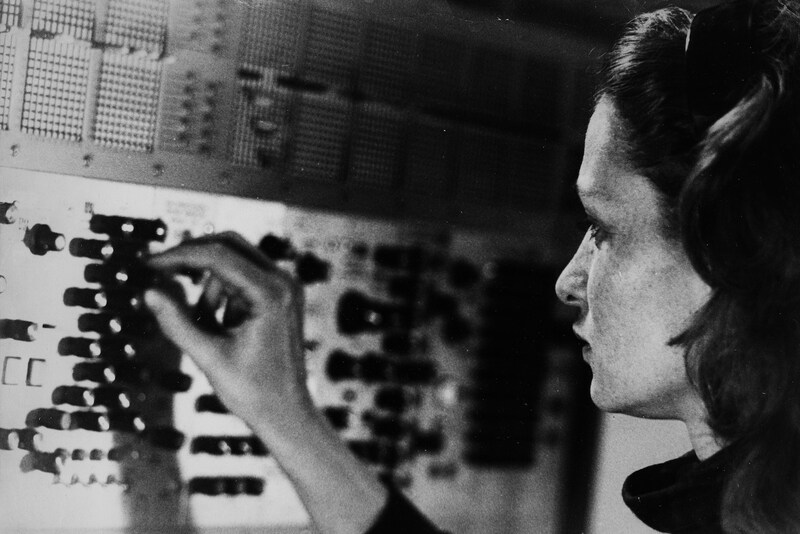 Eliane Radigue’s music is one of the clearest examples of work that succeeds in articulating ideas about these things. Because the subject of this work is your attention, the music can’t fully speak if you use it as background. If you listen to it that way you’re likely to get little back from it. Its pleasures reveal themselves to those who try and allow it to be their primary object of attention. Your mind won’t stay with it all the time, but that’s okay. The shifting focus of the mind and the ear is part of what she’s working with. Her music doesn’t impart readily comprehensible emotions, but that doesn’t mean it’s cold and unemotional. It affects your mood and the feelings in your body through circuitous channels rather than obvious emotional signifiers. Although slow and contemplative, it’s not really ambient because you can’t use it functionally to tint the room with a particular feeling. Her music couldn’t be further from the common conception of drone as an essentially passive music: something “nice” you put on just to bliss out and relax, but not really pay attention to. Similar misconceptions exist about meditation, a practice that Radigue has been dedicated to since 1974, which is often criticized as a withdraw from the challenges and difficulties of life into a false and naive tranquility. But in both meditation and in Radigue’s music, the goal is not to retreat from reality into a cocoon of good vibes, but to engage directly and in a deeper way with reality in all of its challenges, by harnessing the mind’s salient capacity for awareness and applying it with rigor to the minute and subtly varying complexities of our moment-to-moment experience. Although there isn’t really an “accessible” place to start with Radigue, I’ve chosen Tryptych (Important, 2009) because it’s broken up into shorter 20 minute tracks that some might find easier to digest than uninterrupted hour-long pieces. Beginning with a filter slowly opening over white noise, “Part 1” immediately evokes nature: wind, the ocean. Radigue’s work always feels like a particularly earthy form of electronic music, especially compared to the outer space associations common to this period. Sound patterns shift and undulate like a river, like mathematical expressions of natural phenomena. There is a very hand made quality to these pieces. 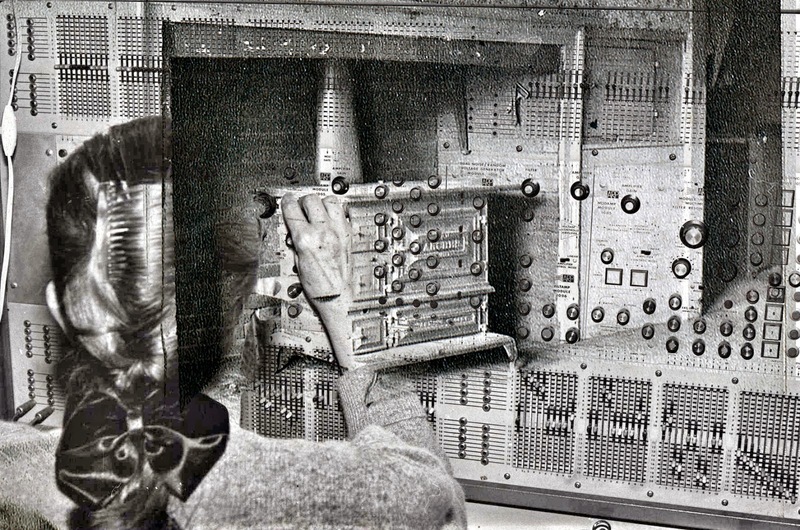 Radigue records her Arp 2500 synthesizer live to tape in real time, and the mixing process is a complex live performance on multiple tape machines. 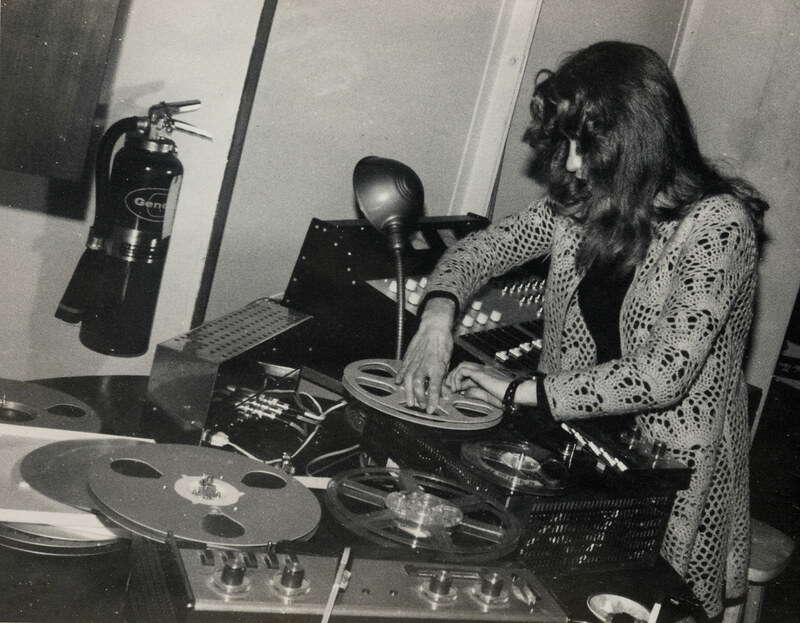 As a composer, Radigue occupies an interesting and unusual place at an intersection of the French classical mysticism of Messiaen, the tape studio performance techniques she studied with Schaeffer and Henry at the GRM, and the emphasis that American minimalism places on the direct perceptual experience of sound. “Part Two” introduces a rhythmic element in the form of beating tones, a favorite Radigue technique that allows her use of long tones to exist in an ambiguous place on the spectrum between pitch and rhythm. Never flat or static, Radigue’s long tones are always in motion, churning and shifting rhythmically. The pacing of the composition is impeccable: every gesture is given time to sit there for a moment and be fully experienced before a new one is introduced. The piece gradually builds into a spinning kaleidoscope of subtle simultaneous rhythmic patterns. There is no traditional sense of “development” in this music. It is not concerned with memories of where you’ve been or premonitions of where you might be going. The focus is on sound and experiencing its perception in the present moment. 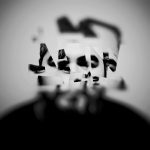 “Part Three” immediately immerses you in a thick cluster of close high tones quickly beating and pulsing at different speeds. You can focus on any one of them, or none of them, or all of them. Your attention is not guided or told what to focus on, what is foreground and what is background. Radigue openly presents a field of simultaneous phenomena and your attention is given ample room to wander, like in early Robert Wilson or the long shots in Tati’s Playtime. Often the music sounds quite different depending on where your ears are in relation to the speakers. A small turn of the head will reveal or hide various layers, or make what had been a rhythmically active beating tone suddenly stand still. This is a quality it shares with La Monte Young’s “Dream House”: although the musical content of the composition is objectively fixed, an emphasis is placed on how the listener’s subjectivity actively participates in creating the musical experience. “Transamorem – Transmortem” (Important, 2011) begins with a blast of very high frequencies, but because they’re from an analog synth recorded to tape, they’re not piercing in the way high tones sometimes are in digital music. They blend with the noise floor of the reel-to-reel in an attractive and musical way. This sustained high tone tangibly colors our perception of all concurrent sounds, and the experience starts to feel like an investigation into perceptual psychoacoustics: the duration of this sound and our expectations around its duration become manifest as the central question at play in the composition. Throughout the piece there is a single square wave pulse every four seconds or so marking out units of time like measures, a metrical grid within which you can place the faster subdivisions of polytemporal beating tones. The piece ends with a fadeout so slow that for the longest time you can’t quite be sure whether it’s really even happening or if you’re just imagining it. It’s like the body feels the music fading out before the mind knows it is in fact taking place. It’s a good example of the way Radigue’s music explores phenomenology: the ending becomes about the question of how long a musical gesture can take place while still being registered as a musical gesture by the conscious mind. The Adnos (Table of the Elements, 2002) trilogy is among my favorite of Radigue’s work, comprising three 70-minute pieces composed between 1974 and 1980. Again, questions about the rate of perceivable musical change are central: it deceives you into thinking it’s static. After listening for a while you become aware that the music has modulated keys, but there was never a precise moment when you heard the modulation actually take place. What do key changes mean in music if you never hear them happening? It’s like a Zen koan that Radigue both proposes and offers up possible answers to. “Adnos I” is a good example of the extreme depth-of-field at work in Radigue’s music. There’s a strong sense of foreground, middle and background, but sometimes your attention will suddenly shift and you become aware of a whole entire microcosmic universe of action taking place in the very extreme background of the music. What’s interesting and unusual about this is that although these moments feel like a massively epic shift in the composition, from an objective standpoint almost nothing in the music actually changed; you create this seismic shift in the composition. Your subjectivity is responsible for creating what feels like a massive structural change in the music. No two people will experience these moments in exactly the same way, and no one person will experience them in exactly the same way twice. In “Adnos II,” what starts as the implied rhythmic content of her beating tones blossoms into full-on pulse music, albeit a pulse music consisting of many layers each pulsing at a slightly different tempo in which nothing is synced and there’s no master clock. “Adnos III” takes this approach even further, using her Arp’s ring modulator to create what sounds like a percussion ensemble of twinkling electronic metallophones slowly drifting in and out of phase with each other. The Adnos series seems to be the project in which Radigue’s style and relationship to her instrument and tools fully attained its distinct and uniquely discreet virtuosity.